KiwiSaver fees: Who is paying more than the average? KiwiSaver members in Growth fund profiles risk paying 70% more in fees than the average cost for this fund type, as well as missing out on thousands of dollars in savings. In 2018, Canstar rated and reviewed 119 funds and 20 schemes, across 15 providers, as part of its annual KiwiSaver star ratings. This year, Canstar also introduced an Outstanding Value KiwiSaver Scheme award, to showcase top-value KiwiSaver schemes across the Balanced, Conservative and Growth fund profiles. Canstar’s research is based on an average KiwiSaver balance of $15,000. KiwiSaver members in Growth fund types are paying as much as $284.62 in total fees, almost $90 a year ($89.68) more than the average fee amount of $194.94 for the same fund type, according to Canstar’s research. The maximum fee for the Growth fund profile works out to be 70% more than average. Canstar rated a total of 22 Growth funds for the 2018 KiwiSaver report. While around $100 a year might not sound huge, imagine the total cost over the life of the investment. For example, let’s say a 30-year-old was paying the maximum fee for a Growth fund, and paid this same fee until they were 65. If we assume the average fee had also stayed the same, then the KiwiSaver member would have paid $3138 more in fees, by the time they reach 65. But the actual potential loss is larger than that. This is because, had the $3138 been a KiwiSaver contribution (rather than a fee) this amount would also have earned interest over that time, increasing the member’s savings. These fee discrepancies have the potential to affect hundreds of thousands of KiwiSaver members. According to the 2017 Financial Markets Authority (FMA) KiwiSaver report, 943, 453 members are in Growth funds – that’s more than a third (34.65%) of the total KiwiSaver membership of 2, 722, 147. Has the fee explanation gone far enough in KiwiSaver statements ? This was the first year KiwiSaver providers had to display their fees as dollar figures in member statements, not just as percentages. 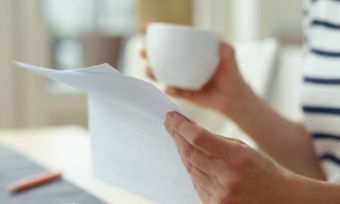 The FMA ordered the changes in a bid to get greater transparency for investors on what they were really paying in fees. But, according to a Financial Markets Authority survey, the change in information has not had an overwhelming impact for investors. In fact, 50% of survey respondents said they didn’t notice the change in how fees were displayed and 18% were unsure if they had seen the information or not. Canstar’s own research also shows fees still baffle many KiwiSaver members. Out of 1582 KiwiSaver members, 29% said they have a better understanding of the fees they pay, since the change to how they were displayed. But 21% say they still find fees hard to understand and 49% did not even know there had been a change. AUT senior finance lecturer Ayesha Scott argued that KiwiSaver fees need to be displayed in context to be relevant for investors. For example, KiwiSaver members should be able to compare the fee they are paying with the average fee within that same fund type, Scott said in the 31 August NZ Herald report. To help clear up some of the confusion around fees, Canstar researchers have crunched the numbers on average, minimum and maximum fee costs, split by all fund types compared in Canstar’s ratings. While fees take up a lot of airtime with KiwiSaver discussions, these costs need to be kept in context with whether you’re getting bang for your buck, so to speak. You’d expect to pay less in fees if you’re in a conservative fund, as opposed to a growth fund, for example. That’s because fund managers are doing more on your behalf, in terms of fund management, in these riskier fund types. But the average rate of return is also lower, in these “low-risk fund types”, according to Canstar’s research. 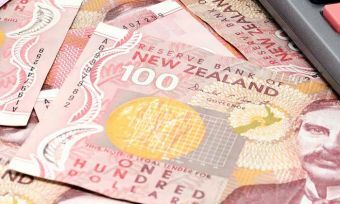 A KiwiSaver member in a Growth fund received an average rate of return of 8.54%, but a Conservative KiwiSaver member received an average rate of return of slightly more than half that – 4.57%. Have a look at the average annual rates of return, based on fund type, for the financial year ending 31 March 2018. Canstar’s rate of returns calculations are for the financial year from 1 April 2017 to 31 March 2018. Note, these are averages, so actual returns may vary across fund times. Past performance is not an indication of future performance. Figures are for funds with a minimum of five years of performance history. But don’t forget that past performance is not necessarily an indicator of future performance. So, what should you consider when choosing a KiwiSaver fund? 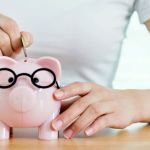 If all of these comparisons have left you with more questions than answers, we have a few tips to help you choose a KiwiSaver fund. As we aren’t financial advisers, we can’t give you specific advice, but here’re some general tips to get you started. Consider your appetite for risk: If you’re in a higher risk fund, such as a growth fund, you can expect to see some sudden drops, along with any increases. So, if the thought of these bumps in the road makes you nervous, you might want to consider a lower risk fund. KiwiSaver is designed as a long-term investment. The idea is that, yes, there might be ups and downs but that by the time you hit 65 and can withdraw the funds, you’ll still see some healthy returns. 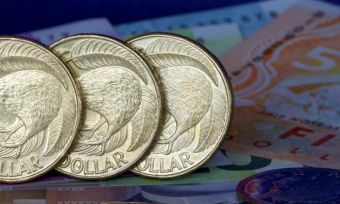 If you want to use KiwiSaver funds towards a first home deposit, you might want to choose a lower-risk fund, to avoid a potential drop right before you need to withdraw the funds for the deposit. Read, read and read some more. Don’t just throw your KiwiSaver statements in the bin, or delete KiwiSaver updates from your inbox. Use these KiwiSaver provider updates to see how you’re tracking and whether you’d like to make any adjustments. You can read our guide on what to look out for in KiwiSaver statements.